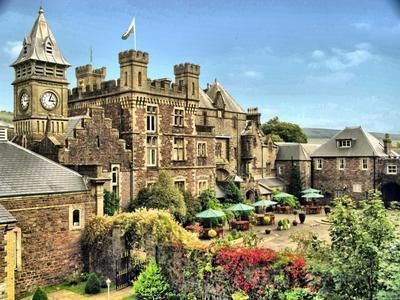 Stay in Craig y Nos Castle in the Brecon Beacons National Park. 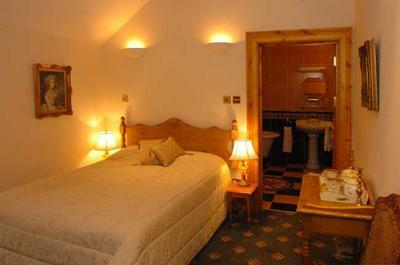 B&B from £33.33 PPN. Enjoy walks and mountain scenery. Dog friendly. 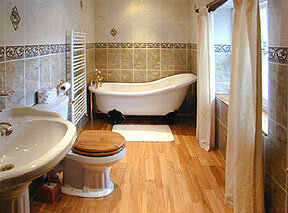 Relaxed and informal Graded 3 star guest house. Self catering farmhouse (4 star) also available £750/wk summer. Craig y Nos Castle is a gothic castle built in Victorian times by wealthy Opera Singer, Adelina Patti. In her day she was earning £100,000 (£11m in today's money!) a year, from public performances. She built an extravagant palatial castle in the remote Brecon Beacons, as her personal home. Subsequently the castle became a hospital, before going back into private ownership in the 1980's. In 2000 renovation works began in earnest to convert it into a 3 star guesthouse. The Castle today is neither formal nor 'stuffy'. We are simply a homely 3 star guesthouse, full of history, higgledy piggledy, every room unique, many beamed - not a square box bedroom in sight! Craig y Nos offers good home cooked food, care of live-in chefs, Beth and Simon, and has 24 en-suite rooms and 15 non en-suite rooms. One night stays are £143 a night for two at weekends, but good Deals are on offer for two night stays - most popular being our £150 B&B deal for two nights, or £200 for 3 nights. As the Castle has large public rooms, including a Grade One listed mini opera house (built by Adelina Patti to entertain European Royalty), it is a popular venue for functions, with 85 weddings a year. Weddings take the castle Exclusive, so we cannot accept B&B bookings when there is an event on. B&B breaks are best booked Sunday to Thursday for two days or more or at weekends in winter months when it is peaceful and quiet. Excellent deals are available including some winter weekend availability - see our 'dog friendly wales' site. You will enjoy peace and quiet, a real escape into scenic countryside, in affordable style. We are incredibly popular with dog walkers due to the extensive local dog walks - once you've arrived there's no need to use the car at all! Step straight out of the door into a 40 acre country park (Craig y Nos Country Park). Loads of local walks within a few minutes drive, including reservoirs, waterfalls and numerous canal paths and forest tracks. Dogs come free, so Craig y Nos is ideal for ramblers and dog walkers. Four good pubs (one an award winning Camra pub) are within a couple of miles of the Castle, should you fancy some variety. Also a hot tub and sports room for you to keep fit in. Both Brecon and Hay on Wye are within driving distance and plenty of places to see in the Brecon Beacons National Park - see our 'dog friendly wales' website for all the links to places to visit in the area. The Brecon Beacons National Park is an area of outstanding natural beauty, full of walks, reservoirs and waterfalls. 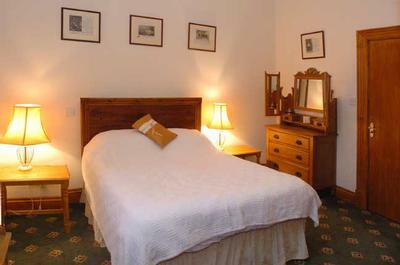 The Castle is bordered by Craig y Nos Country Park, 40 acres of woodland walks and lakes. We're 500 yards south of Welsh Show Caves. 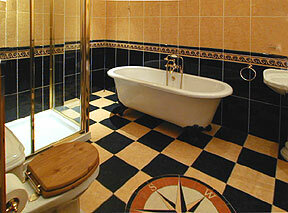 Contact Craig y Nos Castle B&B Accommodation in the Brecon Beacons for Enquiries and Availability.